The United Nations Development Program (UNDP) and Information Technology University (ITU) the Punjab have signed Memorandum of Understanding (MoU), a cooperation agreement here today to jointly gauge Pakistan’s attainting Sustainable Development Goals (SDGs) and their implementation. The MoU formalizes the mutual interaction and strengthens the existing relationship between the UNDP and ITU at the strategic and working level, focusing on the implementation of SDGs and leveraging technology to develop innovative ideas and tools. 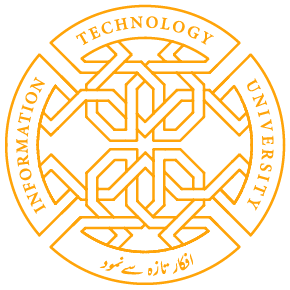 This mutual cooperation may entail setting up a “SDG-Tech Lab” as well as establishing a “SDG Research Unit” at ITU. UNDP and ITU may also jointly explore the opportunity to mobilize external funding with regards to the objective of this MOU and further develop information sharing. UNDP and ITU in this MoU agreed to develop and implement scalable tools that could increase citizen engagement and participation in public decision making and overall governance. The objective is to increase citizen and state interaction; implement scalable tools to improve access to basic services including health, education, water, transportation etc. They also want to work towards enhancing access to public services through un-conventional, efficient and economical tools and explore the use of big and open data for monitoring and reporting of selected SDG indicators. Finally, they want to provide alternative means for assessing progress on SDGs and informing government policies; and undertake any research in the context of exploring and employing the nexus between technology and SDG. Ignacio Artaza, the Country Director at UNDP expressed to focus on data generation using ITU and PITB’s expertise. Punjab has conducted several policy innovations that could be replicated effectively across other provinces in Pakistan to boost interesting ideas and synergies, he said. He also lauded the efforts and commitment of Dr. Akmal Hussain, Dean of School of Social Sciences (SHSS) at ITU towards achieving SDGs. On this occasion Dr. Umar Saif, the founding Vice Chancellor of ITU said that our team of academics and policy makers would do wonders for Pakistan through this collaboration. Our projects, to name a few, that involve e-Vaccs and satellite imagery to better predict crop yield are some examples of how we inform policy with evidence, he added. He further stated that our work made us pioneers in the field of ICTD. Punjab’s success at phenomenally increasing vaccine coverage rate has garnered appreciation globally including the Gates Foundation. Hosting this collaboration at SHSS testifies to the importance we attach to well thought-out and effective policy that has a huge human impact, he said. UNDP, a subsidiary organ of the United Nations, is an intergovernmental organization established by its Member States and Information Technology University (ITU) is a public university of the Government of Punjab. The MoU between both these organizations was signed by Ignacio Artaza, the Country Director at UNDP and Dr. Umar Saif, the Vice Chancellor at ITU. The signing ceremony was witnessed by the Registrar (ITU), Mr. Zaheer Sarwar, Dean of SHSS, Dr. Akmal Hussain, and Head of the Economics Department, Dr. Izza Aftab. Share the post "UNDP-ITU PUNJAB INKS MoU TO ATTAIN SUSTAINABLE DEVELOPMENT GOALS BY ESTABLISHING SDG-Tech Lab AT ITU"